At the Y, we believe leadership is a skill that can be learned and is essential for success in life. We understand that developing and practicing these skills early is necessary for teens to recognize their full potential. 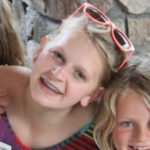 Y Summer Leadership Camps place teens in a supportive group setting where they can practice leading peers and others. Campers leave better prepared to lead in their schools, churches, and communities. 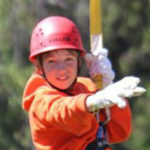 However, because your teen is still a camper, there is always time for them to participate in fun camp activities. Leadership campers will have the opportunity to visit most of the typical camp activities.